There is mounting evidence that Earth’s climate is changing. Still, there are so many different ideas and opinions on the issue that we don’t always know how to talk about it. We do know that patterns of extreme weather, pollution, and the availability of natural resources are linked to climate change. But how? What role do we have in that? Better understanding of the science behind the rise in global temperatures can help us talk about our changing climate and take action. With a sound understanding, we can begin to think critically about the historical causes and—most importantly—make informed decisions about solutions for the future. 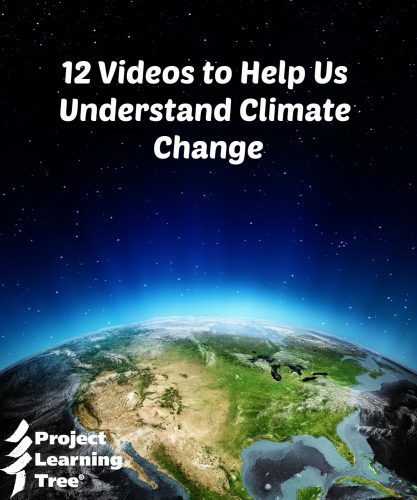 Here are 12 videos to help introduce the complex science of climate change to your students. What is the carbon cycle and why does it matter? Want more resources for a lesson on the carbon cycle? Download a free Carbon in Action worksheet. Does 2°C really make a difference? What are some effects of a changing climate and how will we adapt? What can teachers and students do to help? Rachel Lang is Program Coordinator for Project Learning Tree.